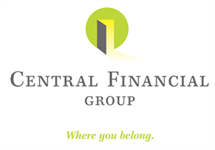 Founded in 1982, Central Financial Group is one of Iowa’s leading providers of life and annuity products, property-casualty insurance and securities. We have several offices across the state and serve more than 50,000 individuals, families and businesses through 300 agents and licensed brokers. We are involved in our communities and committed to improving the lives and livelihoods of everyone we serve.